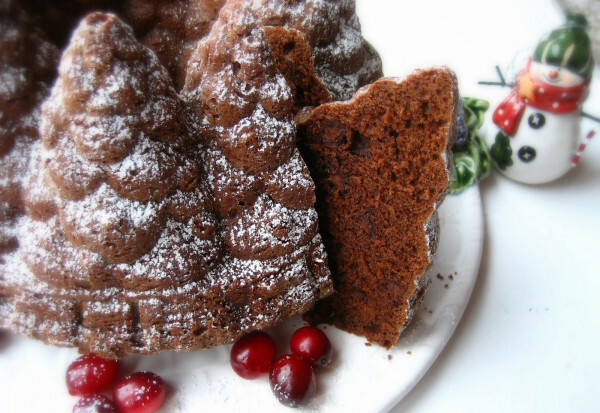 This is by far our favourite of the season: the Holiday Tree bundt cake tin. 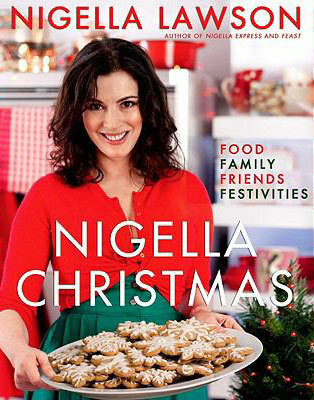 Here’s Nigella’s recipe for a ‘spruced-up vanilla cake’. Either put all the ingredients except the icing sugar into the processor and blitz together; or mix by hand or in a freestanding mixer as follows:– Cream together the butter and sugar in a mixing bowl until light and fluffy.– Add the eggs one at a time, whisking each one in with a tablespoon of flour.– Fold in the rest of the flour, and add the bicarbonate of soda, the yogurt and vanilla extract. Pour and spoon the mixture into your greased tin and spread about evenly. Place the tin on the preheated baking sheet in the oven and cook for 45–60 minutes until well risen and golden. After 45 minutes, push a skewer into the centre of the cake. If it comes out clean, the cake is cooked. Let it sit out of the oven for 15 minutes. Gently pull away the edges of the cake from the tin with your fingers, then turn out the cake, hoping for the best. 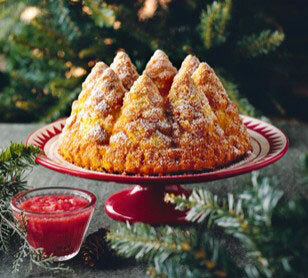 Once cool, dust with the icing sugar pushed through a small sieve, to decorate: think fresh snowfall on the alps. Make the cake, turn out and leave to cool. Wrap in clingfilm and foil and store in an airtight container for up to 2 days. Make, wrap and freeze the cake for up to 3 months. Thaw overnight in a cool room.